Based on industry feedback, the Academy of Canadian Cinema & Television (ACCT) has made some changes to its Digital categories, including a reduction in some entry fees for the 27th annual Gemini Awards. Categories that launch on TV and the web at the same time are now eligible. 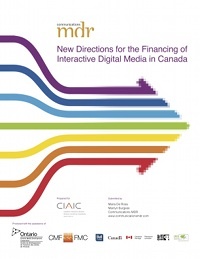 Initially, the original Program produced for digital media must first or simultaneously be made available to the public on a digital medium other than television.